dress in sparkles: always anchors bows and earrings! So, it's probably no surprise to anyone at this point that I love my bows from Always Anchors. They are so well made and completely affordable. Plus the shop owner, Karina, is super sweet! After we hosted a giveaway together, she sent me a couple bows and two pairs of earrings. They are gorgeous! I already knew I would love the bows, and I had been eyeing the earrings in her store for awhile. And they are even cuter than I thought they would be! I'm sure by the end of the year, I will probably own every bow from her shop and every pair of earrings. It's justified if I say I need them in every color and print, right? Make sure to head over to Always Anchors and use the code "SPARKLES" for 30% off your order! And follow Always Anchors on Instagram to keep up to date on new products and special discounts! What's your favorite piece in the Always Anchors shop? The bows and earrings were provided by Always Anchors. All opinions are my own. If you would like to work with me, or become a sponsor of Dress in Sparkles, feel free to email me at kyliemavrakis@gmail.com. 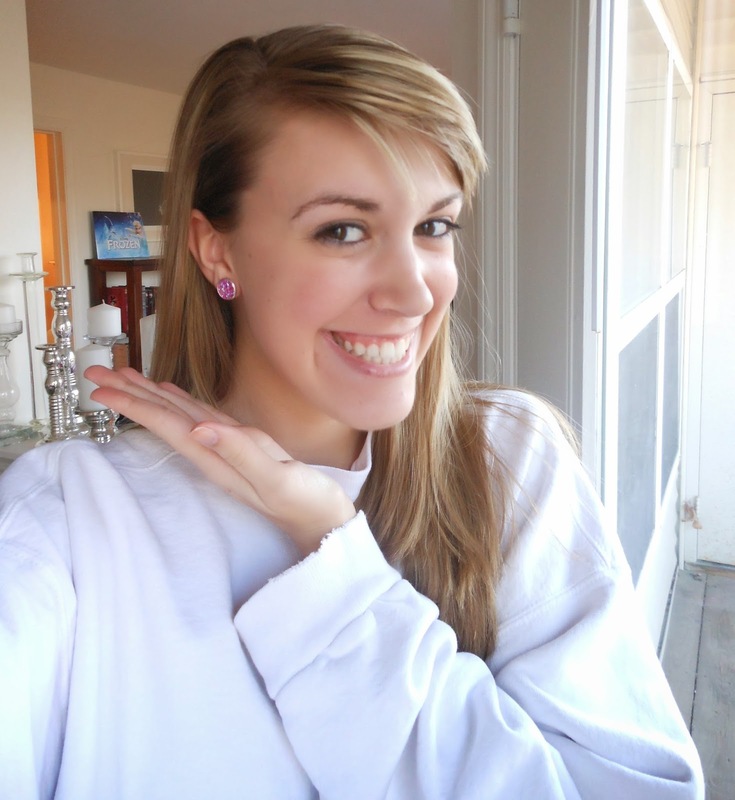 LOVE both the bows and the earrings, and they look fabulous on you!! Save some for birthday and Christmas presents! I love those bows!! How cute are they?! Those earrings are gorgeous! I am going to have to check this etsy shop out! The earrings are really cute! I don't like earrings that dangle so these would be perfect!